2 Guests	2 Single Beds	12 sq.m. 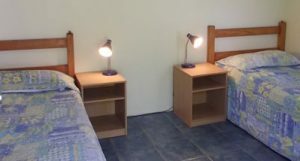 We have twin rooms available in our main building, featuring 2 single beds with bedside tables, lamps, fans, and comfortable outdoor chairs and patio. 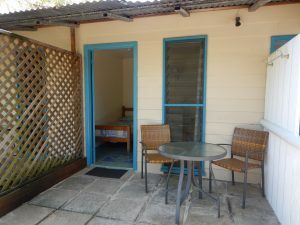 Rates are per night for 2 persons.